I’m just beginning to develop a new evening-length solo dance titled “A Bon Coeur”. “A Bon Coeur” is a Cajun phrase that can be translated as ‘good heart’ or, ‘to do something wholeheartedly.’ Part of this creative process is about allowing my swirling thoughts to suggest physical pathways to explore through improvisation and journaling. My thoughts are circling around my Creole cultural ties and more general notions of bloodlines and legacy. Driven by a sense that my own work is projecting onto an existing public landscape, the choreography is developing into something that moves in and out of abstract spaces, unearthing personal experiences, familial stories, and community history. I grew up with my two younger siblings in Lafayette, the fourth largest city in Louisiana. It is a city along the Vermillion River in southwestern Louisiana where the Creole influence is deep-seated. Cajun and Creole culture has roots in Haiti, and also in Canada. Lafayette is where the Acadians relocated after expulsion from eastern Canada by the British during the late 18th century. Creole culture was, and is, a mixing pot of influences. As I’m exploring my own ties to that culture, diversity is part of what I’m uncovering. My family never identified as Creole. We always identified as Black. Creole was an integral aspect of our lives, but we embraced it as a way of life and as a form of communication – a language that was a broken dialect from Haiti. I grew up with the understanding that to be Creole in part meant that one was of a mixed descent, and that there was often a connection to Europeans and a shared practice in Catholicism. While I do have white, creole, and native American roots on my family tree, we identified as black, and the cultural distinction was significant. Movement, for me, was a way for a very shy, southern child to be seen and heard. For “A Bon Coeur” I am mining my childhood memories of self and community. This process of developing work from my personal history is an artistic direction that started for me with a 2012 work, “/CLOSE/R”, which explored what is uncomfortable. At the core of “/CLOSE/R” I reveal myself as a human being embodying and exposing lived experiences. The performance gives an audience a glimpse into the ways in which our senses guide knowledge production, a concept that considers the shaping of artistic work into the formats of “learning” and “research”. In this initial phase of developing “A Bon Coeur” I’m focused on studying cultural aspects of Louisiana — including Zydeco music and the history of Mardi Gras — as well as collecting stories about the south, specifically Lafayette, Louisiana. This month I’m exploring movement while in residence at Texas Christian University in Fort Worth, TX. During my rehearsals I’m engaging in many hours of improvisation as a vehicle to discover ways to transform collected stories into gestures and full-bodied movements. I’m recording my rehearsals and will use the footage to build a structure for the full project. I think I’m not alone in benefiting from this kind of personal and cultural/historical self-reflection. I see in “A Bon Coeur” an opportunity to celebrate difference, heritage, heart, and soul. Where there is compassion and love there is a place and space for diversity. 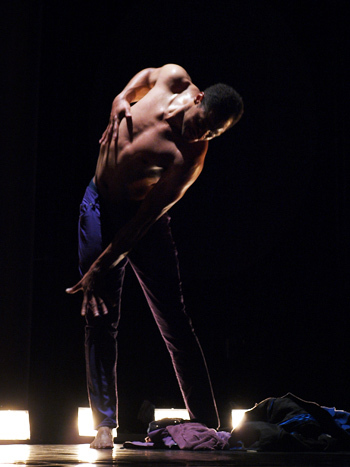 Helanius J. Wilkins, a native of Lafayette, Louisiana, is an award-winning choreographer, performance artist, and instructor currently in residence in Fort Worth, TX. He is a Visiting Lecturer at Texas Christian University in the School for Classical & Contemporary Dance. His honors include the 2008 Pola Nirenska Award for Contemporary Achievement in Dance and the 2002 and 2006 Kennedy Center Local Dance Commissioning Project Award. 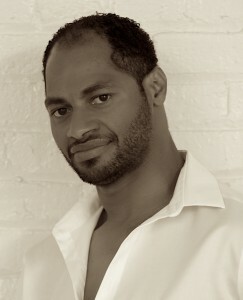 He founded and directed EDGEWORKS Dance Theater, a critically acclaimed all-male dance company of predominantly African-American men from 2001 – 2014. A graduate of SUNY Brockport, Wilkins earned an MFA from the George Washington University. In addition to performing the works of nationally recognized choreographers, he has enjoyed creating, presenting, and receiving commissions for choreography throughout the United States and abroad. Foundations including the New England Foundation for the Arts (National Dance Project), D.C. Commission on the Arts and Humanities, and the National Endowment for the Arts have supported his work. Most recently he has been engaging in extended residencies as a Visiting Lecturer or Guest Artist in Residence in university settings including Slippery Rock University (PA), American University (DC), and the University of Colorado – Boulder.